Your wedding day is one of the most important and memorable days of your life. 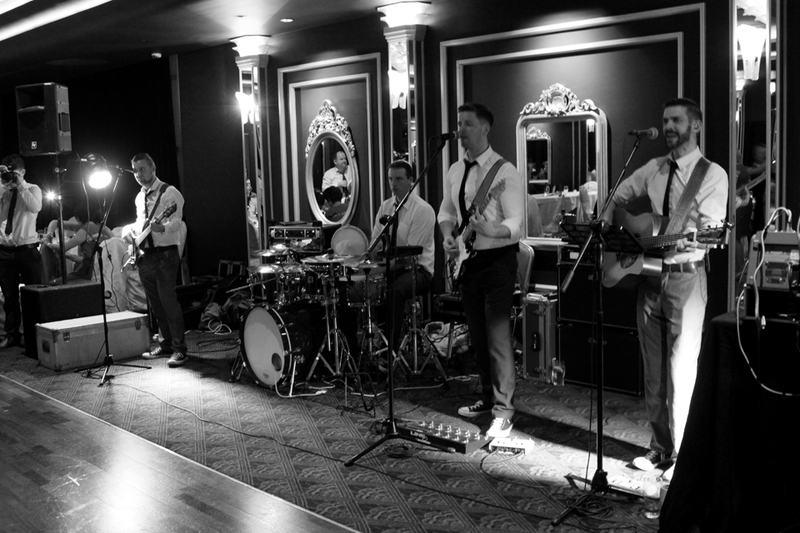 As a band it is our responsibility to entertain your guests and enhance the celebrations as much as possible. We believe it is important to play a varied selection of musical styles to suit all age groups and backgrounds, and as such we offer a 3hr set that includes pop, waltzes, jive, rock n roll and modern music. We always maintain the flexibility to change and alter our set to suit any particular audience on the night. We have played many wedding receptions in many well known wedding venues and have become proficient in setting up our equipment with minimum disruption to guests. We will liaise with the staff at your venue to ensure that start, finish and any break times are co-ordinated to run as smoothly as possible. We always do our best to cater for any specific requirements or requests a couple may have, and will discuss and agree in advance everything from the first dance to the throwing of the bouquet as required.